Contemporary solid oak office desk, with practical cable management system, tablet & phone holder and side hooks for storage. Thank you for ordering the ‘O’ OFFICE DESK- we are sure you are going to love it! Please complete your details below. Once you have placed your order, we will email you an invoice with our banking details so that you can do an EFT. On receipt of payment, we will be in touch to arrange delivery. Delivery costs will be calculated based on your area and added to your invoice. This slender contemporary bedside table will make a lovely edition to any bedroom. Thank you for ordering the ‘U’ BEDSIDE TABLE (Oak & Duco) - we are sure you are going to love it! Delivery costs will be calculated based on your area and added to your invoice. Please let us know in the Additional Information field below if you'd prefer to collect at our studio in Kelland (Randburg, Gauteng). 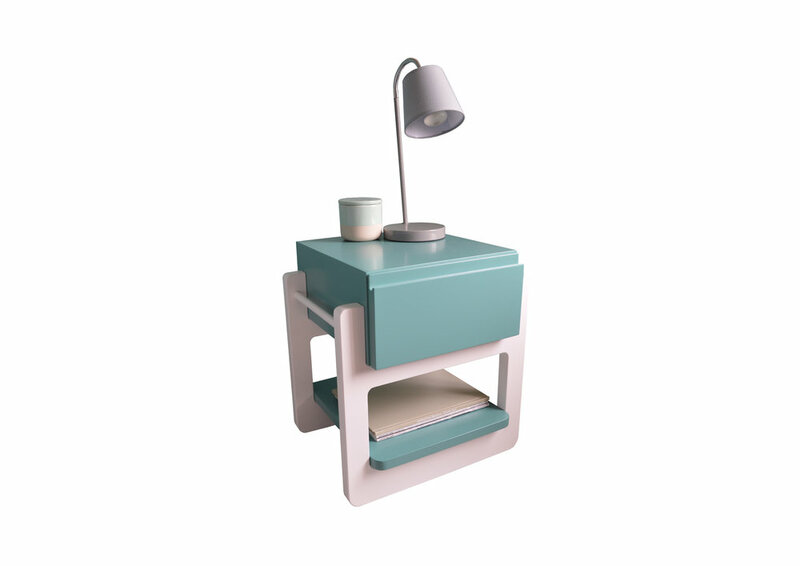 This contemporary bedside table will make a lovely edition to any bedroom. 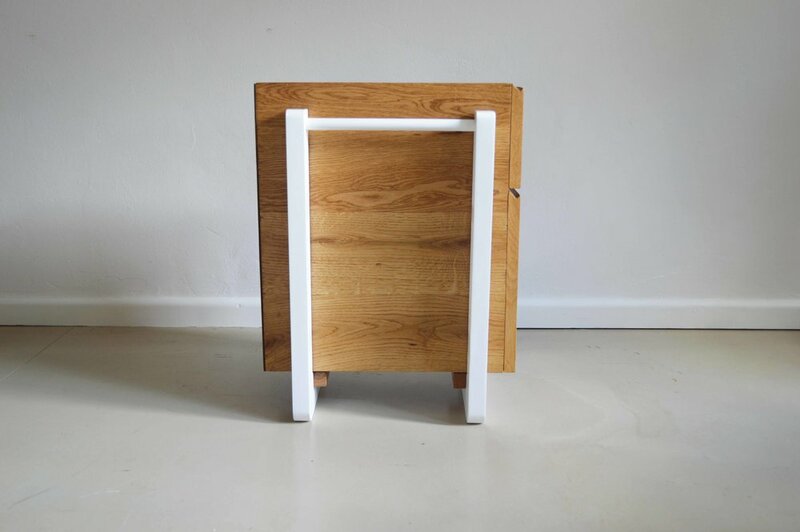 Thank you for ordering the ‘H’ BEDSIDE TABLE (Oak & Duco) - we are sure you are going to love it! This slender contemporary bedside table will make a lovely edition to any bedroom. Different colour options available. A solid wood option will also be available in 2017. 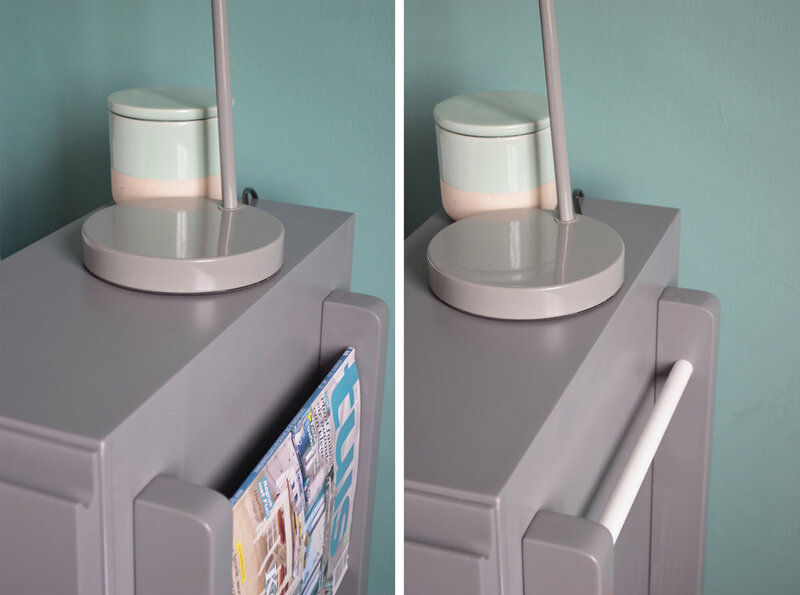 THANK YOU FOR ORDERING THE U BEDSIDE TABLE (DUCO FINISH) - WE ARE SURE YOU ARE GOING TO LOVE IT!Please complete your details below. Once you have placed your order, we will email you an invoice with our banking details so that you can do an EFT. On receipt of payment, we will be in touch to arrange delivery. You can expect your invoice within 24 hours by email. We will finalise delivery by email. 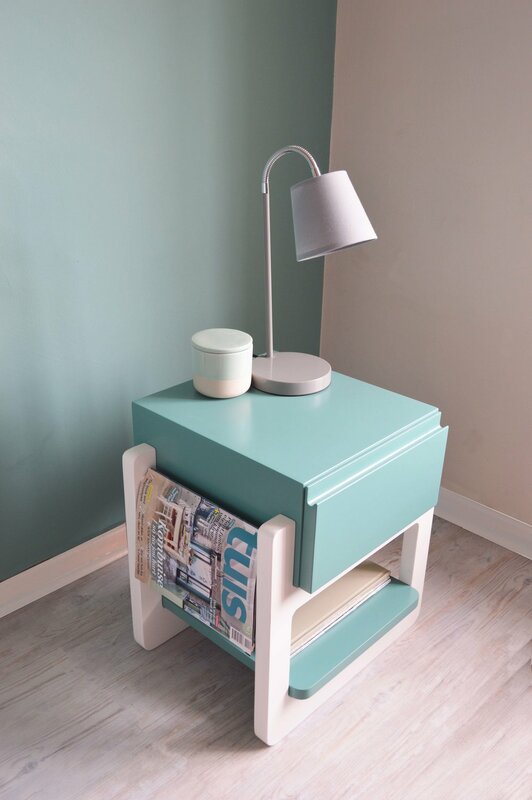 This contemporary playful little bedside table will make a lovely edition to any bedroom. Different colour options available. A solid wood option will also be available in 2017. Thank you for ordering the H BEDSIDE TABLE (Duco Finish) - we are sure you are going to love it! 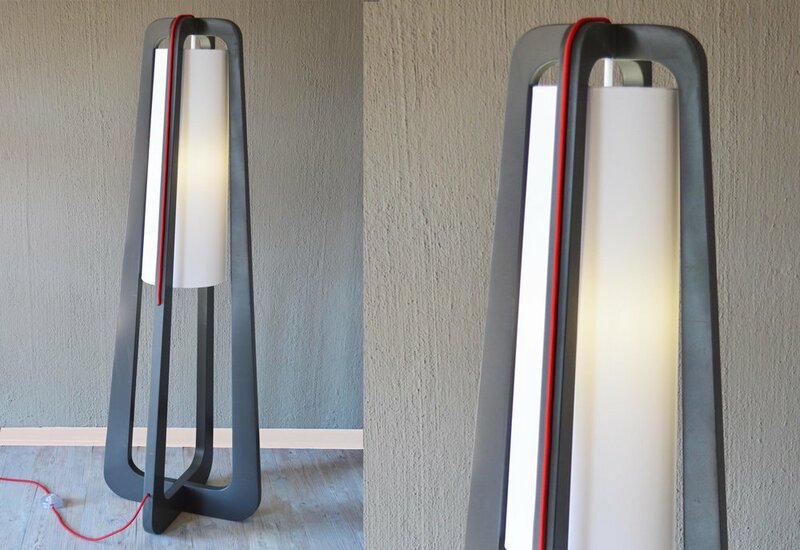 This contemporary floor lamp with its gentle but bold contours and playful accent colour is part of the Pure Line Alpha-BET range. 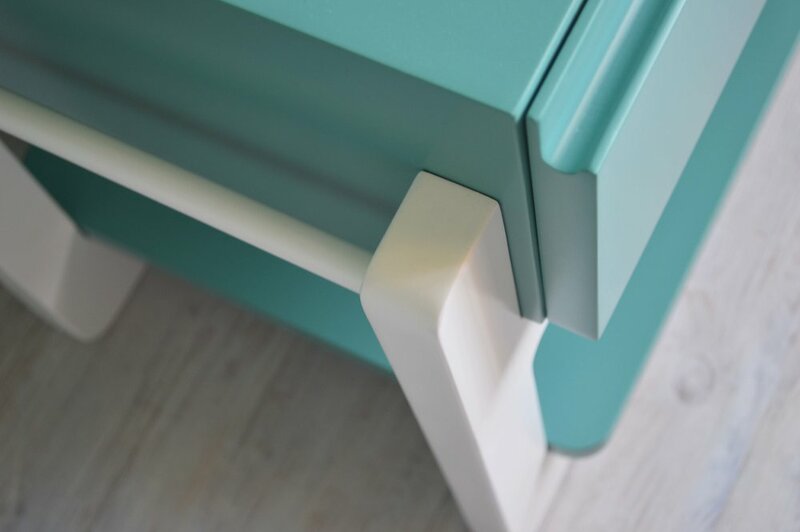 Engineered timber with a duco paint finish / Different colour options available for frame and power cord. 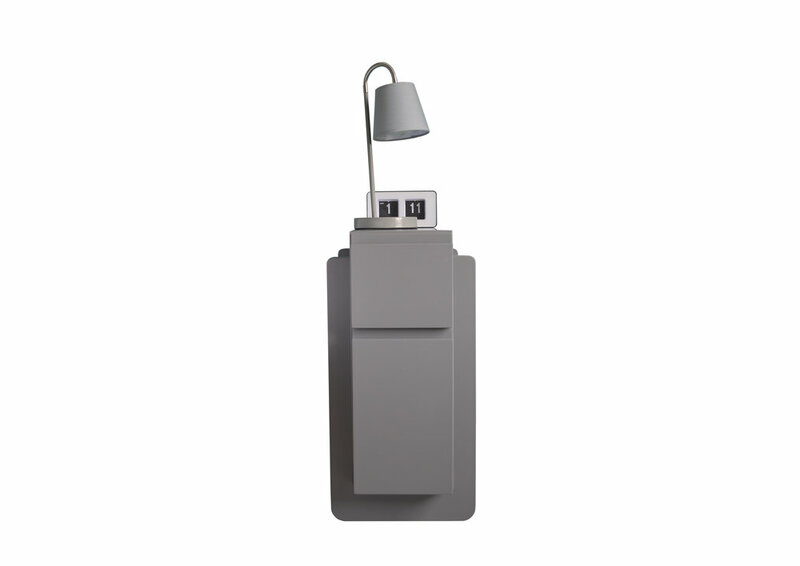 Thank you for ordering the A FLOOR LAMP - we are sure you are going to love it! 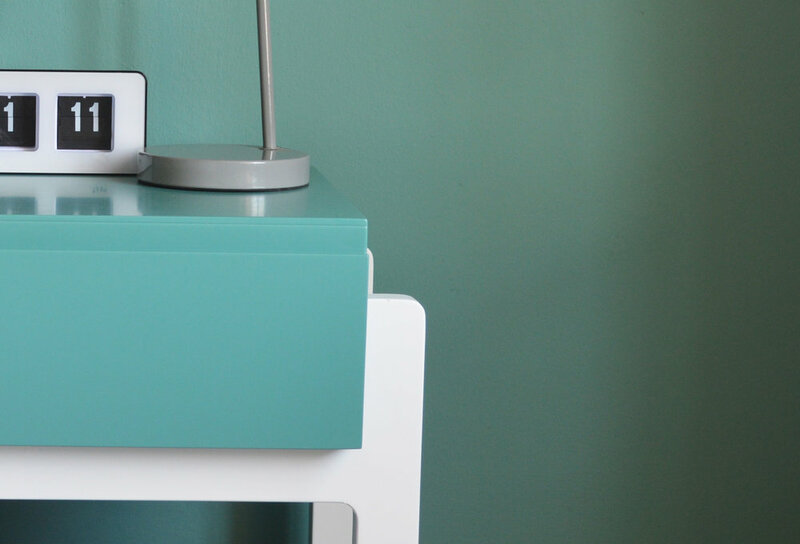 This contemporary desk lamp with its gentle but bold contours and playful accent colour is part of the Pure Line Alpha-BET range. 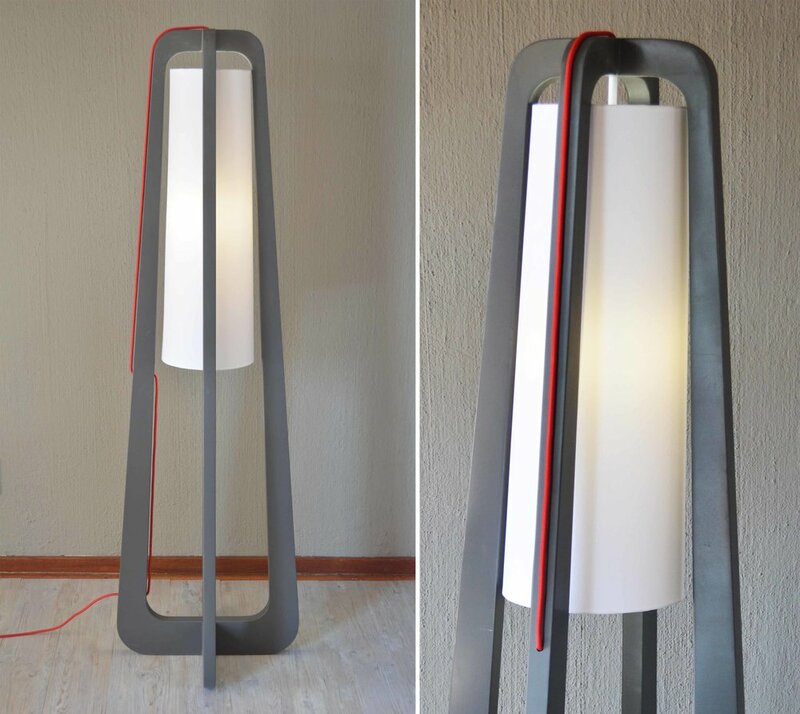 Thank you for ordering the ‘aaa’ DESK LAMP - we are sure you are going to love it! I’m Shelley, Chief Everything at Shelley Smith Creative. I build websites for creative women entrepreneurs that put their sales and marketing functions on auto - so they can focus on doing the work they love and living a life that is a whole lot of fun! I am also a performing artist - at my kids’ playschool :). I teach pre-school music classes and share my lessons and activities at Rocking the Playroom to inspire parents and teachers to jam with their kids. This modern coffee table is part of the Pure Line Alpha-BET Range and features a V-shaped shelf to display coffee table books. Rustic solid oak top with high gloss duco side pieces. Thank you for ordering the V Coffee Table (Rustic Oak and Duco) - we are sure you are going to love it!